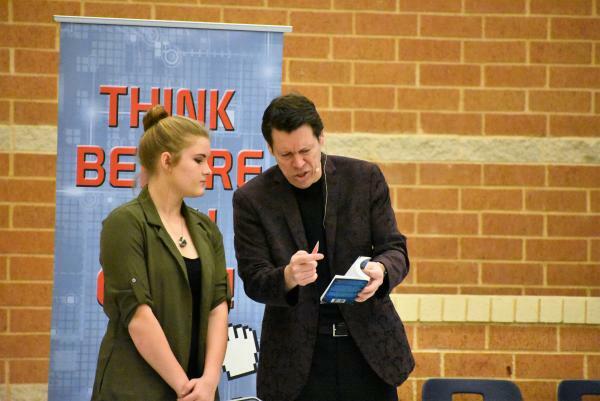 On Friday, January 11, 2019, James Munton presented a school assembly to high school and middle school students called, Think Before You Click: Cybersense: In this dynamic, interactive assembly Munton tied together the topics of cyberbullying, online predators, sharing inappropriate photos, and identity theft with one single, easy to adopt strategy: Think Before You Click! 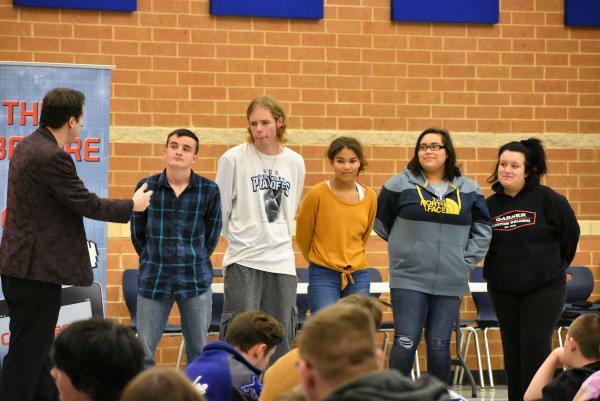 Mr. Munton kept the students entertained and engaged throughout the program. 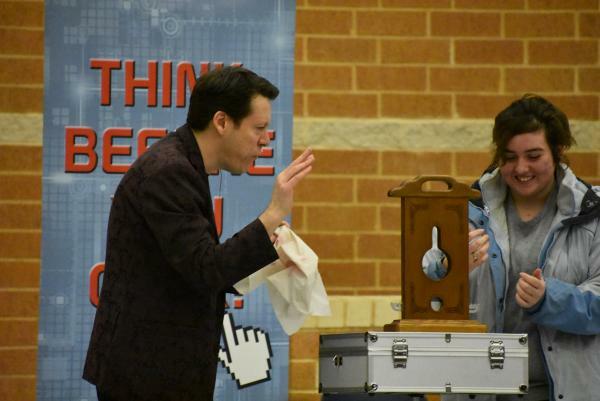 Several students and teachers even assisted Mr. Munton with some magic tricks that were incorporated in his show and used to demonstrate the dangers of the cyber world. James Munton returned on Monday, January 14, to present an evening parent meeting on cyber safety.